Stencils and play cards put a strong impact on people’s minds. 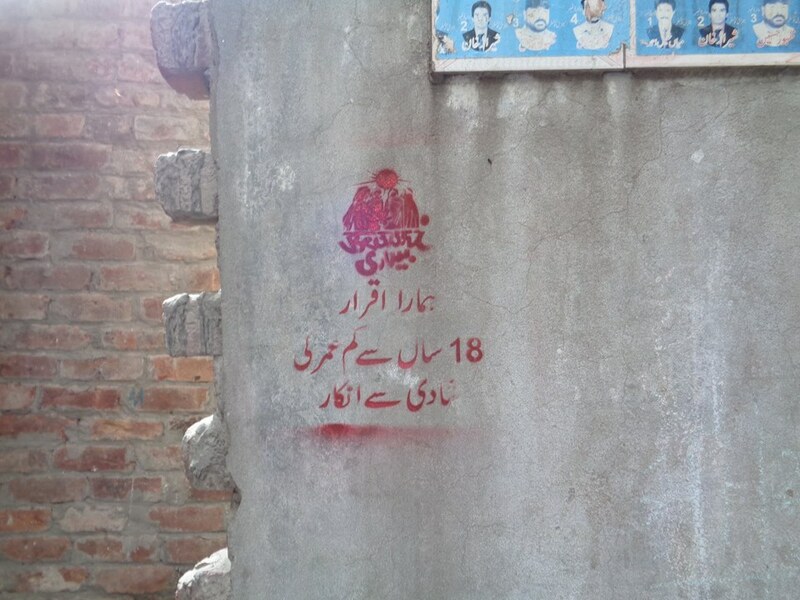 Especially for those who are illiterate. 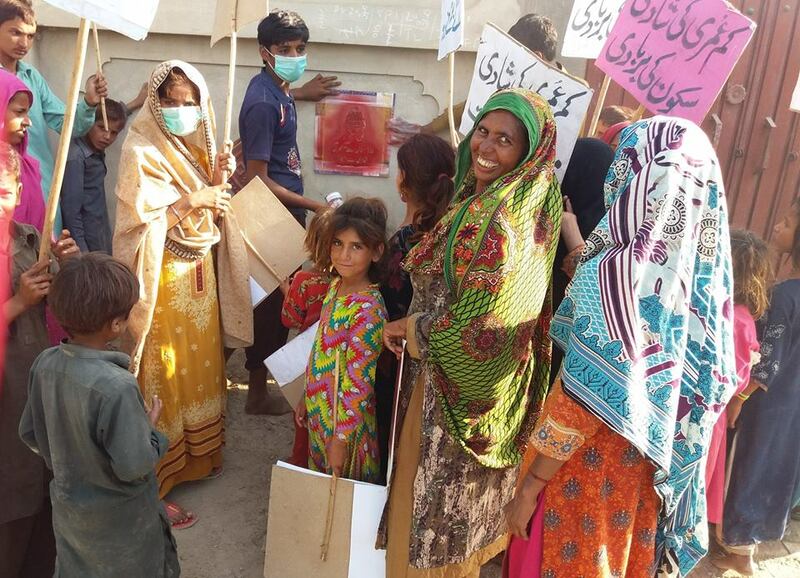 One picture or one word can bring huge attitudinal change if seen repeatedly. 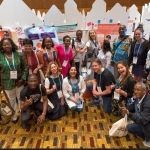 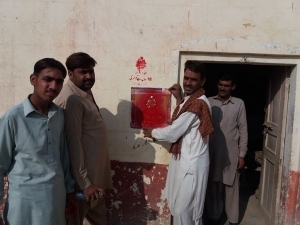 That’s what was behind the initiative launched by the HER CHOICE partner Bedari, which involves marking the houses of people who refuse child marriage. 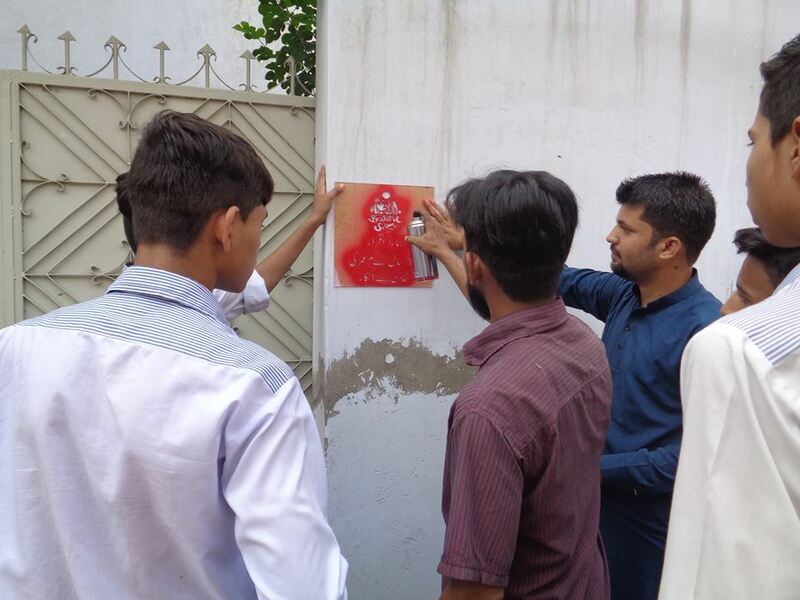 The idea was received with great enthusiasm. 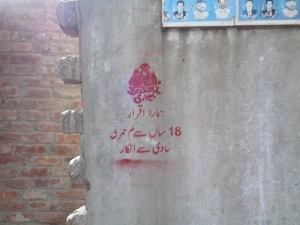 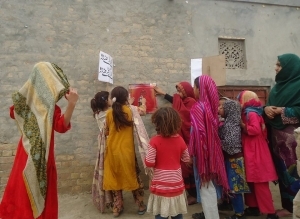 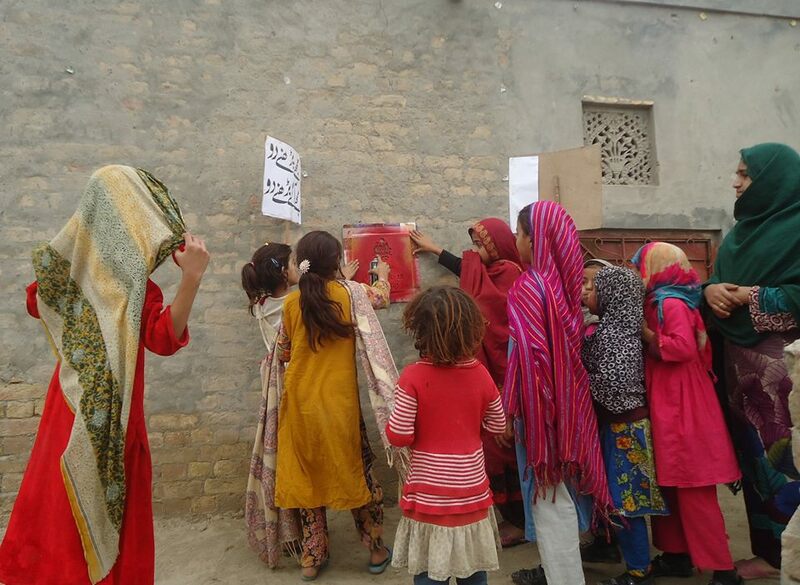 In the different areas of the Pakistani province of Punjab where the HER CHOICE programme is being implemented, many people were happy to mark their houses indicating their refusal of child marriages and connected issues. On top of that, awareness marches were organized to emphasize even more the need of eradicating such tradition. 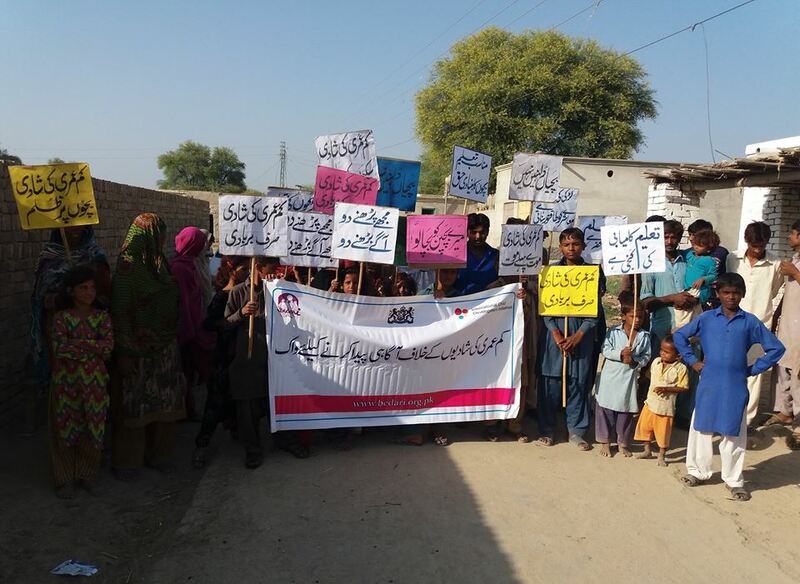 People were shouting slogans to underline that child marriage should not be accepted.